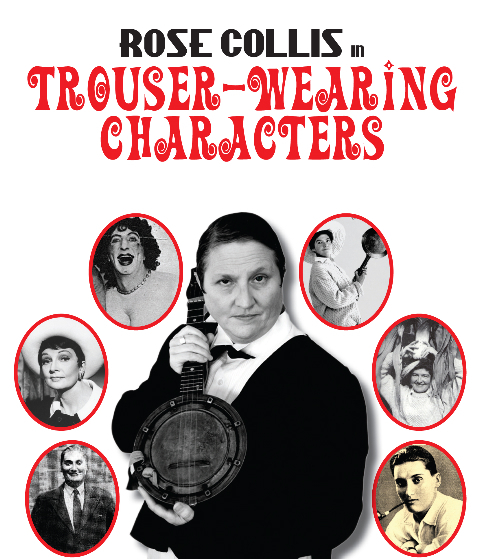 Written and performed by Rose Collis, Trouser-Wearing Characters, is the first original, one-woman cabaret-style musical show created and performed by a British author, and signalled her return to the professional stage after an absence of 25 years, during which she became an established journalist, author and historian. This original entertainment is a unique mixture of music, history and comedy. 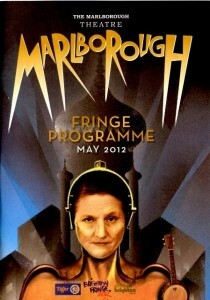 It combines stories, vignettes and songs (evergreens and originals) about some of her favourite, eclectic ‘trouser-wearing characters’, from Nancy Spain to Colonel Barker, Dougie Byng to the ‘f**king lady’ herself, Coral Browne, with cameo ‘appearances’ by the likes of Noel Coward, Marlene Dietrich and Vincent Price. Drawing the audience in instantly with skilled story telling, cheeky songs, gender exploration and a comparison of attitudes of people then and now (striking similarities will startle), Rose weaves secrets, tidbits of biographical information & audience banter, and plays her banjolele Bud as well. 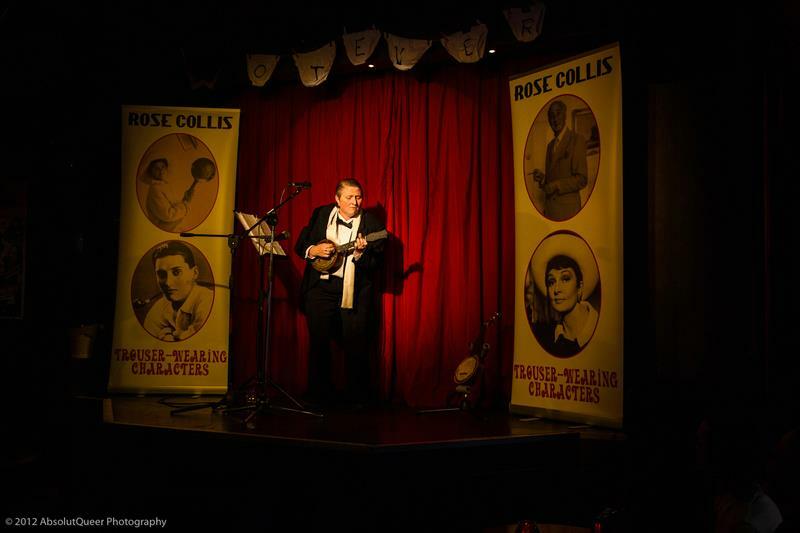 Rose brings gems and nuggets of biographical details compellingly recounted through humour, song and wit…spiced with witty asides, knowing looks and a bright selection of songs on the banjolele… Collis brought them to life colourfully and sympathetically. 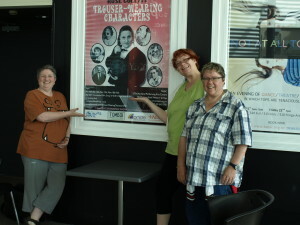 ‘Rose Collis takes us on a biographical tour performance of four ‘trouser wearing characters’. Early in 2013, Trouser-Wearing Characters had a hugely successful five-week tour of New Zealand (produced by Tomboi Productions) and Australia, appearing at Auckland Fringe, NZWellington Fringe, Sydney Mardi Gras and Adelaide Fringe — the second biggest arts festival in the world. 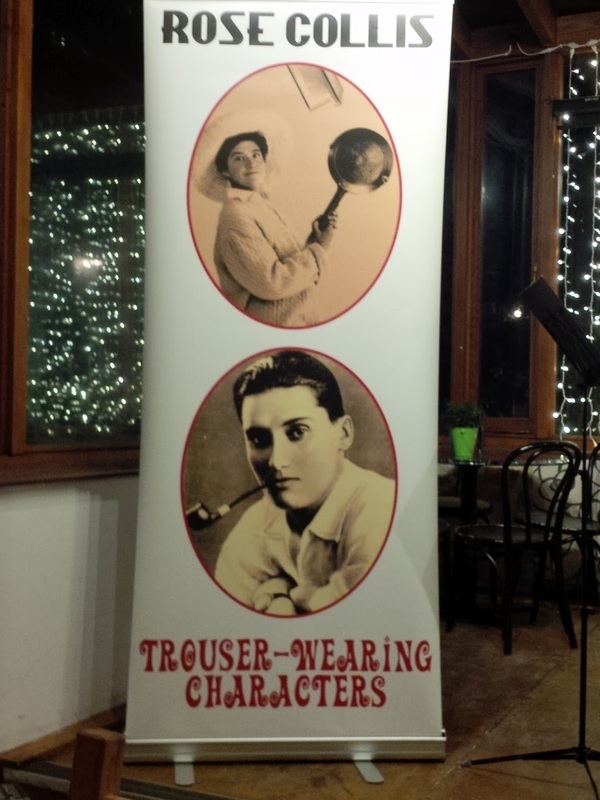 A one-woman show in which Rose Collis tells us the stories of four ‘masculine women and feminine men’; real characters from a not-too-distant past who broke away from gender stereotypes. Collis knows her subjects well, having written books about them, and her enthusiasm for them makes the show flow easily. The humour and subject matter is delivered with admirable subtlety. 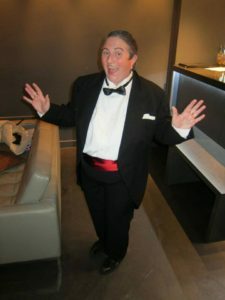 The fact that some of the characters are fairly contemporary (such as the hilarious piece written for, but not performed at, Carole Browne’s funeral by Barry Humphries is a highlight) means that this is not simply a slice of vaudeville nostalgia. 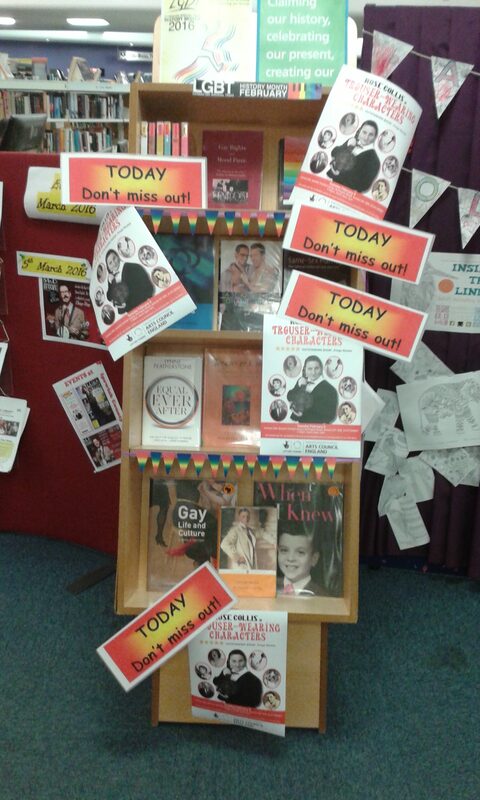 In February 2016, Arts Council England funded the show’s first UK regional tour for LGBT History Month 2016. 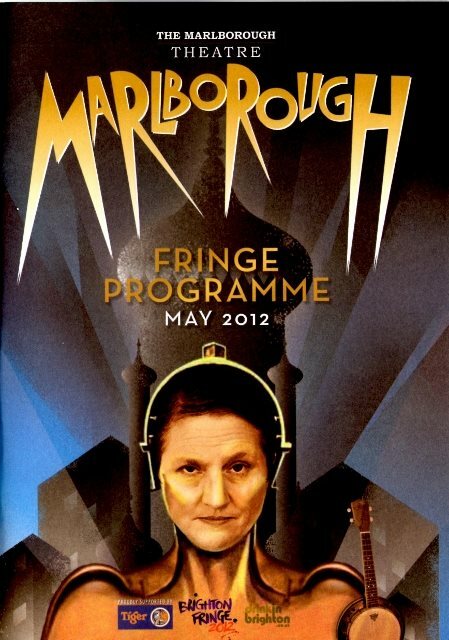 The show was performed in public libraries in Ipswich, Plymouth, Exeter, Taunton, Reading, Worcester, Shrewsbury, Sheffield, Todmorden and Newcastle. Smooth, slick and fascinating; an excellent show and a wonderful example of the evolution of the library. I’d love to see more by Rose Collis — bring her back! Absolutely brilliant — really entertaining and informative. Loved the mixture of music and storytelling. Interesting and fun stories told by an interesting and fun character. A lovely mixture of history and music; well-researched and very entertaining. Great pace, wit and pathos in balanced doses. Novel, engaging and delightfully entertaining. Original – sort of intellectual stand-up. The tour took place during LGBT History Month 2016, when the show was performed at ten different regional libraries, starting at Ipswich Central Library on February 9, and ending at Newcastle City Library on March 2. 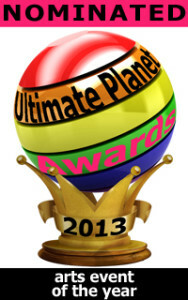 The show was a tremendous success with the public and staff alike. Thirty-nine per cent of total audiences completed feedback forms; 54% rated the event as ‘5-star’; the overall star rating was 4.5 star. When asked ‘Would you like to see more performances in this library?’, 100% of respondents answered ‘Yes’. Asked ‘Would you like to see other theatre performances by Rose Collis?’, 100% of respondents answered ‘Yes’. 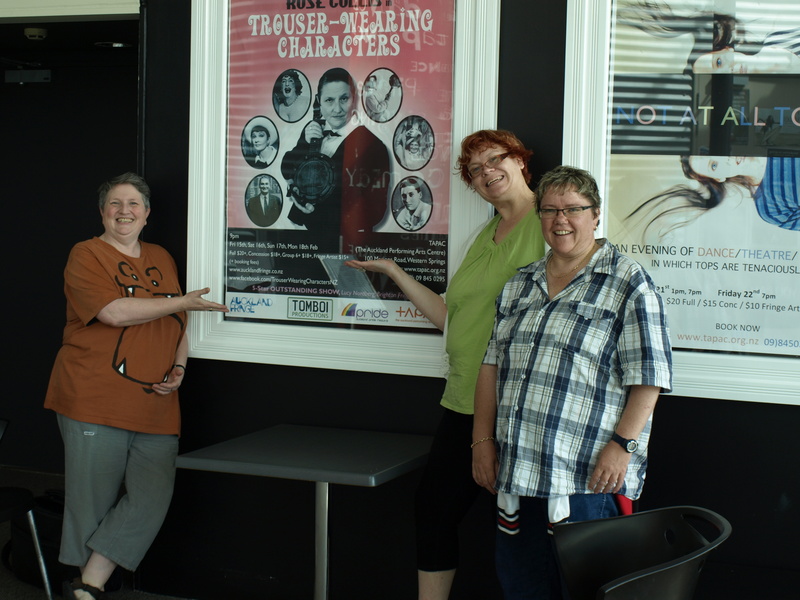 All the partner library services expressed a keen interest in hosting future performances shows by Rose Collis.